We trust that you had an opportunity to enjoy the runners/walkers from AthHalf marathon as they sprinted past our delightful neighborhood. Five Points’ Business Fleet Feet had a band cheering the participants and entertaining the Five Points spectators. It was also great to see members of the Clarke Central chapter of the National Honor Society volunteering at the Five Points water station. According to FOFP Board member, Alice Kinman, who ran in the race, the atmosphere in Five Points was very upbeat and the runners appreciated the encouragement. It is a point of pride for us to show off our neighborhood and its businesses. The FOFP Board held its annual meeting back in May and a new Board was put in place. We now have an active Board after a few years during which the organization was kept active by Sara Beresford. During these years, Sara kept the listserv alive with the help of Kara Bride and Jill Gambill. Mary Bell Stolz, Dave Meyers and Kim Ness worked to keep the Memberships updated and Jennifer Harrington, Jennie Wenger, Jill Walton and Lisa David helped out with the Newsletters. Carol and Larry Jones, Geoffrey Walton, and John Wolfe helped with board duties. We all very much appreciate the work that Sara and these fine folks put in to keeping the organization active. The Friends of Five Points will endeavor to manage the listserv and website and contribute towards hosting the Holiday House and the Easter Egg Hunt. We will hold forums where we will invite our elected officials and/or those running for public office so that our members can meet these folks and understand where they stand on issues that affect our Neighborhood. Most importantly, we have a structure in place that can be mobilized at any time the neighborhood sees a need to protect or enhance our quality of life. It is with your continued support and participation that we can make our organization relevant so that the residents can do what it takes to preserve our neighborhood’s uniqueness and vibrancy. Redistricting is one issue where we will be asked for our input; the ongoing issue of Infill development and designating more areas as Historic Districts is another. Parking on the streets is an ongoing issue which will require working with Clarke County officials. Parking for the Five Points Businesses will continue to be the most challenging issue for them. 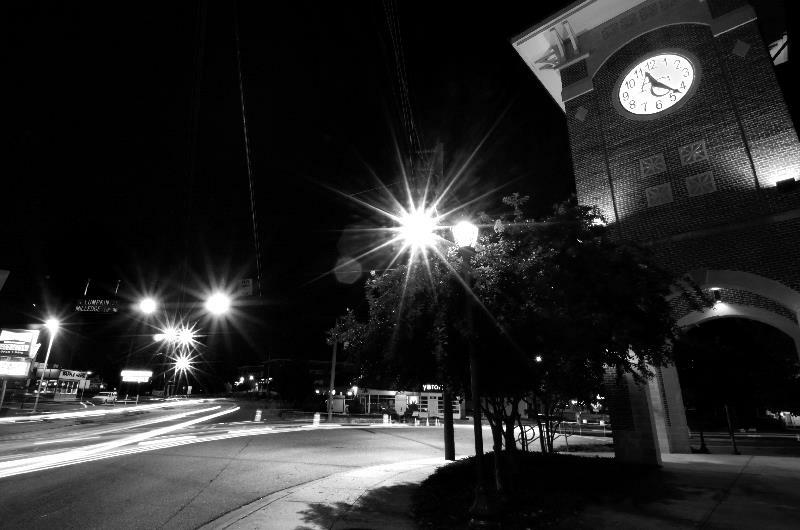 Without the Five Points retail businesses, our neighborhood would not be arguably the most desirable place to live in Clarke County – we hope you will continue to patronize each and every locally owned business so that they may continue to thrive. John Weatherford has put together a great website that is very easy to navigate and find some useful information – we now have set up a link where you can pay your membership fees online: http://friendsoffivepoints.org/membership/. This will enable our membership to pay with much ease and also make it easier for us to track the membership. John is maintaining our website and he will welcome any reasonable suggestions on what else can be posted on it. Susan Field is the NNI representative for FOFP and receives notices from ACC Departments concerning notices of government meetings with their agenda items, notices of rezoning and demolition requests, recycling events, and neighborhood leaf and limb pick-up schedules that she forwards to the listserv on a timely basis. She is also the FOFP representative to the Federation of Neighborhoods. Susan’s selfless and tireless effort of keeping us informed on these issues allows the community to proactively prepare to discuss and address them with our ACC officials. John Wolfe has been our Treasurer for many years and he keeps us honest and ensures that we maintain the funds to meet our budget each year and keep some reserves. John has served in this role for some time and we are appreciative of his history of FOFP organization and how we have dealt with past issues. Jill Gambill has the most challenging job of keeping our Listserv from getting overly emotional about some rather emotional issues, if I may say so. Jill has done an excellent job as our listserv administrator, and it is largely thanks to her that our listserv content is so relevant. One of the Board’s tasks for the near future will be to come up with some guidelines for listserv use to help Jill, and any future administrators, with this challenging task. Kristin Nielsen is our Membership Coordinator and we are working on our annual membership drive. We will be sending out mailers and a reminder as we draw closer to the mailing date. Kristin can be called upon with any questions you may have about your membership status or payments. We welcome your questions and inquiries – please submit them to info@friendsoffivepoints.org and one of our board member volunteers will get back to you. We thank you for taking the time to read this and we will answer any and all questions. I will send out occasional newsletters to keep the membership informed on what the Board is working on. Thanks to various online sources, you do not have to wait for a monthly newsletter to keep you updated on the neighborhood activities. Wishing each of you convenient parking spots, safe school routes and a fun-filled Halloween.